Heath Ledger was an Australian actor who reached the zenith of his career with many Hollywood assignments. Ledger was found lifeless in an apartment building of Manhattan with an empty bottle of prescription sleeping pills by his bedside and pills strewn over his body and the bed. 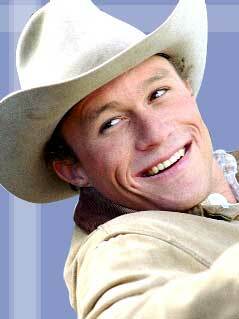 Heath Ledger was determined to win fame through serious acting and not by capitalizing on his "pretty boy" looks. He won an Oscar nomination for his breakthrough performance in Brokeback Mountain, and won critical acclaim in his character performances in other films. He dated Naomi Watts for two years before apparently settling down with Michelle Willliams when their baby was born in 2005. They ended their relationship in 2007 and were often photographed by paparazzi in various arguments. Ganesha takes interest in knowing the reason behind his mysterious death. Ganesha feels that even though Ledger had a fiery Aries Sun, his horoscope shows that he was a very sensitive person. His Moon (significator of emotional needs and nature) was in the sign of Cancer, which rules emotions and moods. Mars (drive and aggressive instinct) was in Pisces where it tends to haze our requirements and make it difficult to achieve them, and so was Mercury (significator of mental functions and eloquence) which shows an extremely empathic and delicate individual. Both of these planets have been stressed by cycles Pluto over the past two years, creating upheaval in his life and dredging up (Pluto rules the Underworld of the psyche) old emotions and thoughts that were problematic. Venus was posited in Pisces, showing that he was a romantic and yearned for relationships where he could connect totally with his mate. However, Venus was opposite to the planet Saturn, which can be cold and critical indicating that he never felt that he was good enough for his partners. Saturn in his chart was retrograde which intensifies the effect even more and suggests that he was most critical of himself. He was in the middle of his Saturn Return at the time of his death. This is an event that happens to all of us when we're about 28 to 30. This is a time of either great stress or great achievements, and sometimes both, says Ganesha. Saturn can be a severe taskmaster, and these two years are best spent in hard work and struggle for achievement which can then be rewarded. For someone who is naturally self-critical, the Saturn Return can be a very difficult time when all of our dreams and longings are blocked by the Lord of Time (Saturn). Some people experience their greatest success during these periods. But many others instead struggle against the Taskmaster's pressure to grow up and face the next stage of their lives, and for these people the Saturn Return is difficult indeed. At the time of his last moment, Natal Mars had made a square to transiting Mars, maybe the exasperating influence that pushed him over the edge. Natal Venus had made an aspect to transiting Saturn in horoscope, Saturn affected Venus during the Saturn's return which culminated in November 2007, which coincide with the period immediately following his breakup with Michelle Williams in September 2007, says Ganesha. Lord Ganesha pays tribute to this great actor. May his soul rest in peace!